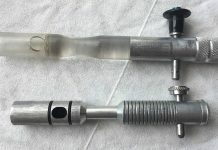 This video and article looks at two custom autococker bolts. The first is a cut up P Block evolution bolt and the second is a custom clear plastic pre 2k. 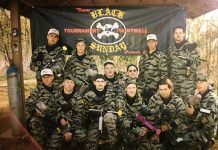 Looking back on Black Sunday's history with Robert Anderson as he revives the team for their future UWL, NXL, and Woodsball World Cup events. 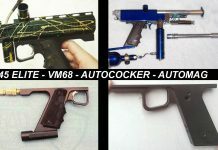 Recent information has lead to a better understanding of the history behind Pressure Point, Inc.'s 45 Elite frames for Automag, Autococker and VM68s. 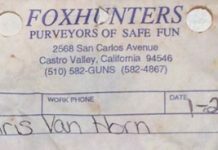 Christian Van Horn sent me this photo of a receipt for this 93 phantom from Foxhunters paintball in Castro Valley, California.